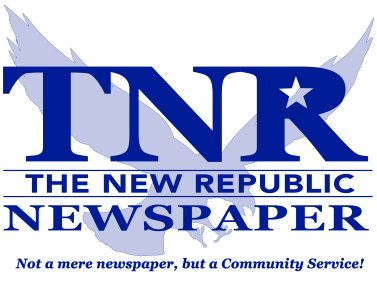 Although the name has changed during the past 118 years, the weekly newspaper of Meyersdale, now known as The New Republic, has strived to deliver quality news that focuses primarily on the people, events and news of Meyersdale, PA and its surrounding areas. Samuel Austin Kendall founded the Meyersdale Republican in 1900. Kendall served for two terms in the General Assembly of Pennsylvania from 1899-1903 and represented the 23rd congressional district in the House of Representatives for seven years. Regardless of where he went, Meyersdale was his home, and he took an active interest here. The creation of the Meyersdale Republican was Kendall’s way to promote the interests of the Republican Party, as well as to make a contribution to the local community. In 1910, the newspaper was sold to W.S. Livengood, a Somerset County native who had returned after spending 23 years away from the area. In his absence, Livengood was engaged in daily newspaper work out west, primarily in California. With the exception of a three year period beginning in 1936 when Livengood leased the newspaper to James A. and W.W. Black. He owned the newspaper for 36 years. When the Black brothers did not renew the newspaper lease, Livengood resumed his duties and also had given half interest in the business to his daughter, Frances L. Imler. The two ran the business together until 1947. In 1947, Herman Basehore bought Livengood’s half interest in the newspaper and became partners with Frances Imler. The Basehore – Imler partnership lasted until 1959 when the business was incorporated as the Meyersdale Printing and Publishing Company. Basehore served as president and treasurer, and Imler as secretary. Mrs. Esther Basehore was the assistant secretary. 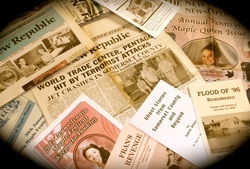 In 1974, Robert B. Wentworth purchased the newspaper and renamed it The Republic. Wentworth was a publisher of other newspapers such as the Emmitsburg Chronicle in Emmitsburg, MD; the Echo-Pilot in Greencastle; and the Carbondale News in Carbondale. Seventeen years later, Wentworth sold the business to Harold C. Clark, who passed away the same year he purchased the paper. His widow, Lucinda S. Clark, kept the business until 1991. Ed Dunlap would become the next owner on April 1, 1991. Under his leadership, the newspaper would once again be renamed; it became The New Republic. Dunlap, from the Pittsburgh area, came to know the Meyersdale Republican as a child while visiting his maternal grandparents in West Salisbury. Dunlap, the CEO and president of Centimark Corporation in Canonsburg, learned through an uncle that The Republic was having a difficult time and could potentially close. Dunlap not only stepped up to save the business; he turned it around and shook things up, truly making The Republic New! On January 1, 1999, three employees of The New Republic purchased the newspaper from Ed Dunlap. Presently, Linda A. Gindlesperger is Publisher and General Manager; George W. Menser is Publisher and Advertising Manger. The New Republic Newspaper is published by Victorian Publishing Company, which also produces Visitor’s Quarterly, a tourism magazine that is published quarterly showcasing vacation destinations within the picturesque Laurel Highlands of Pennsylvania.